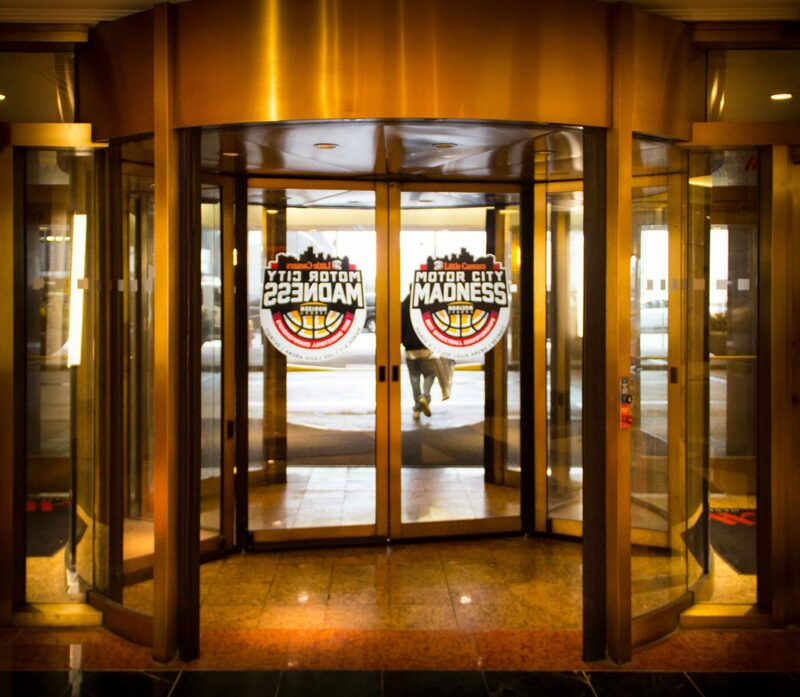 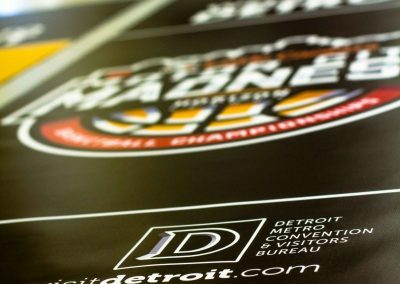 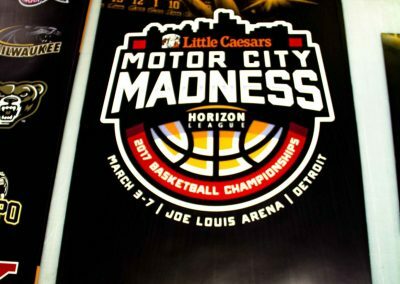 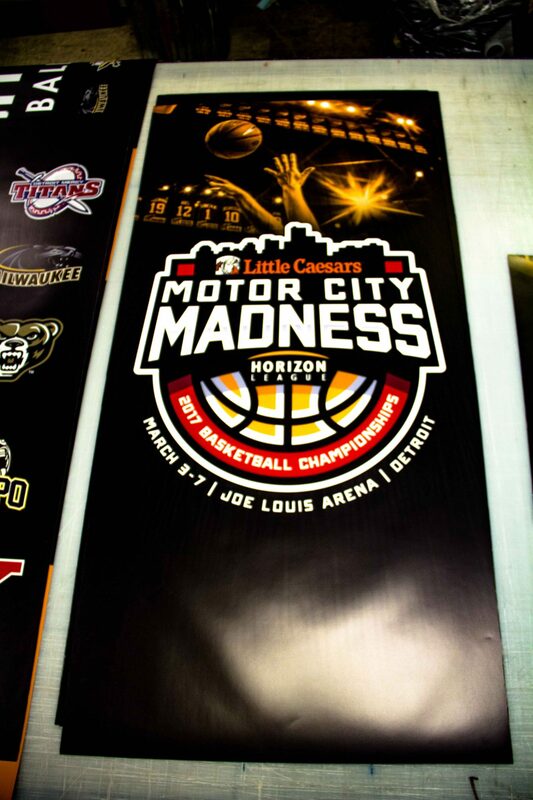 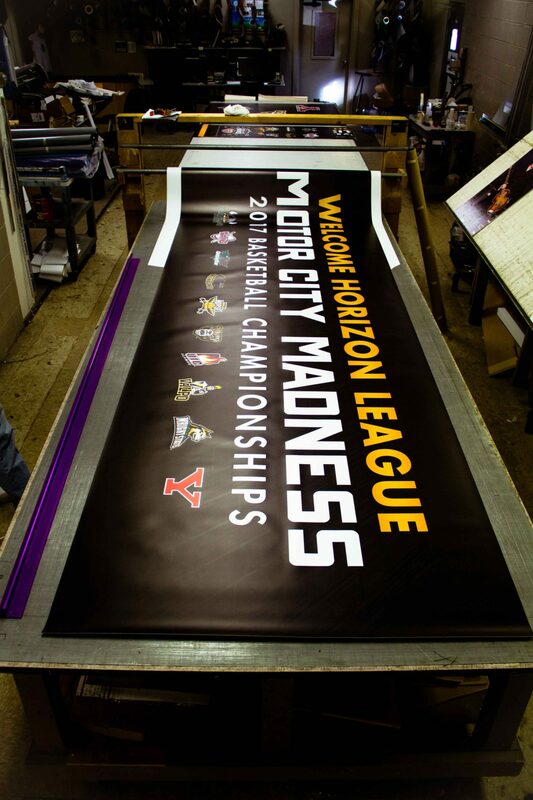 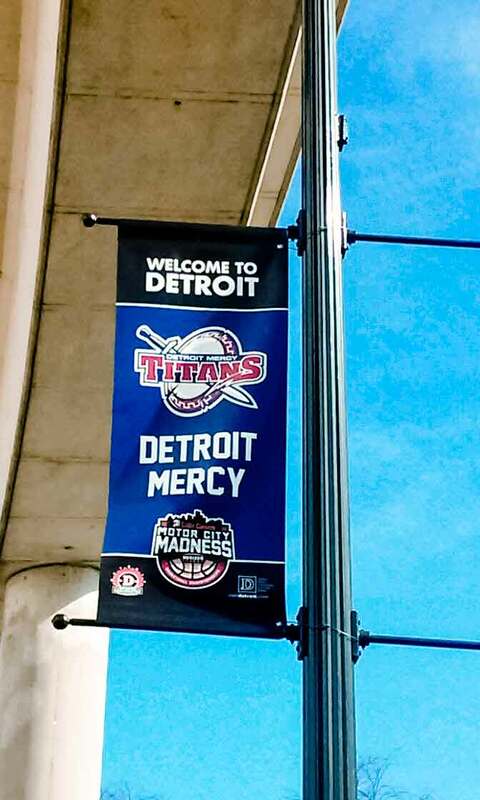 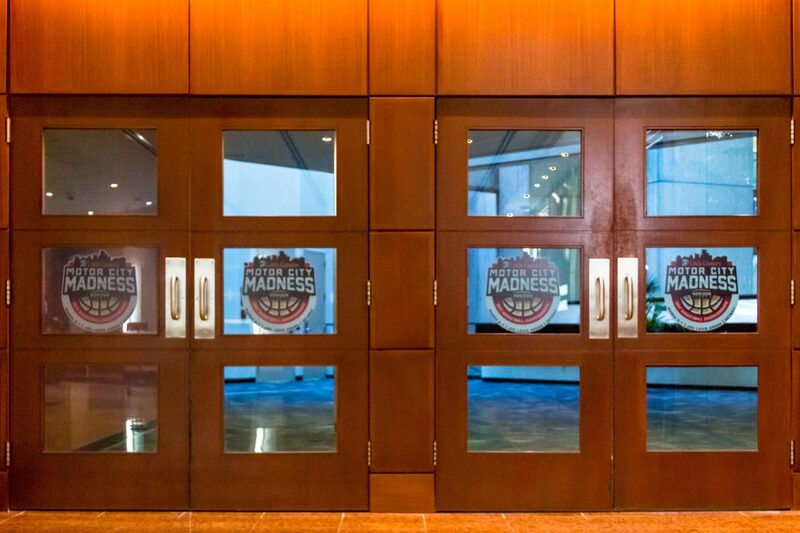 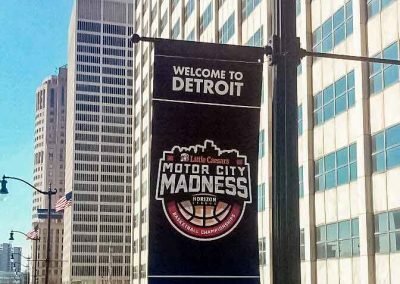 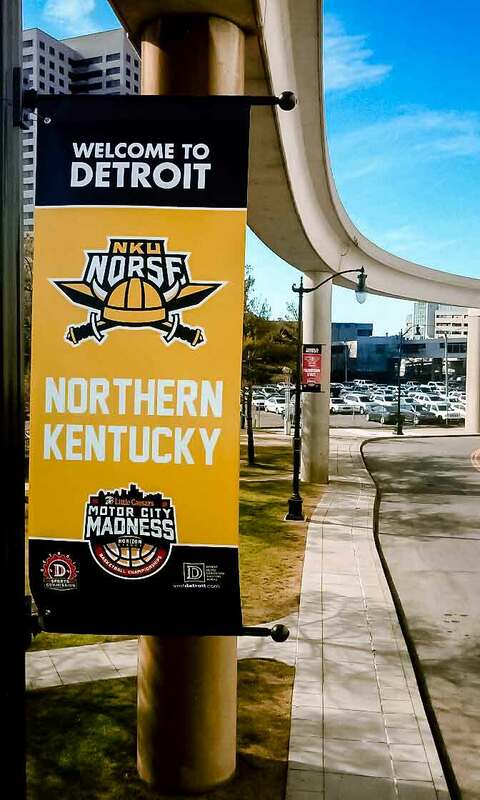 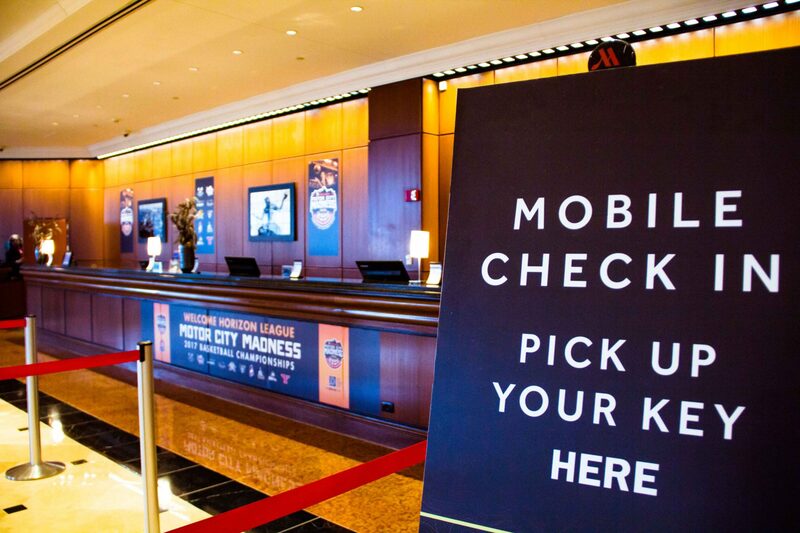 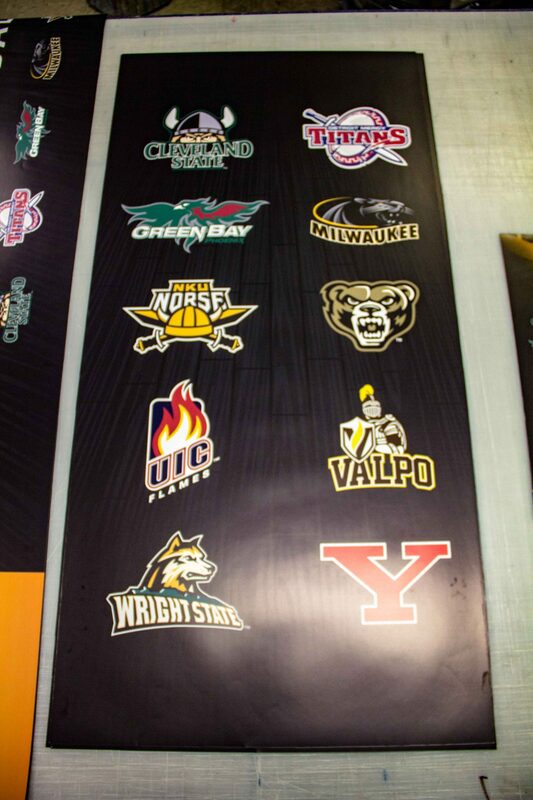 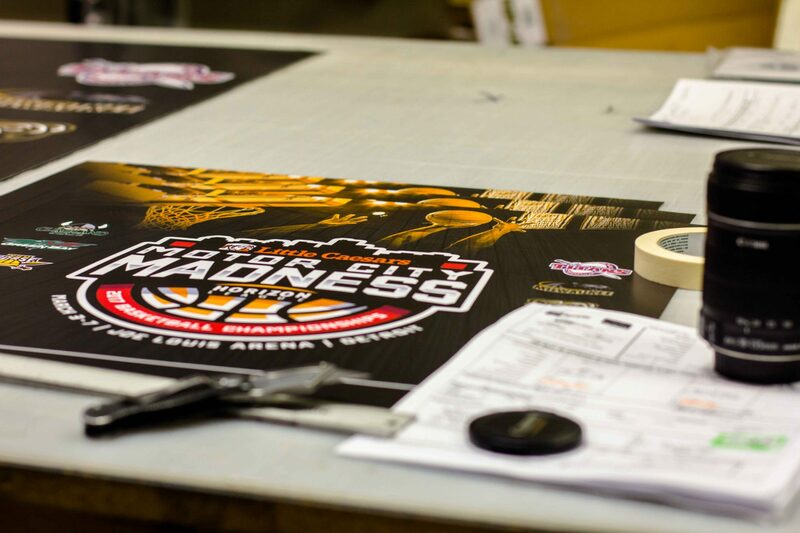 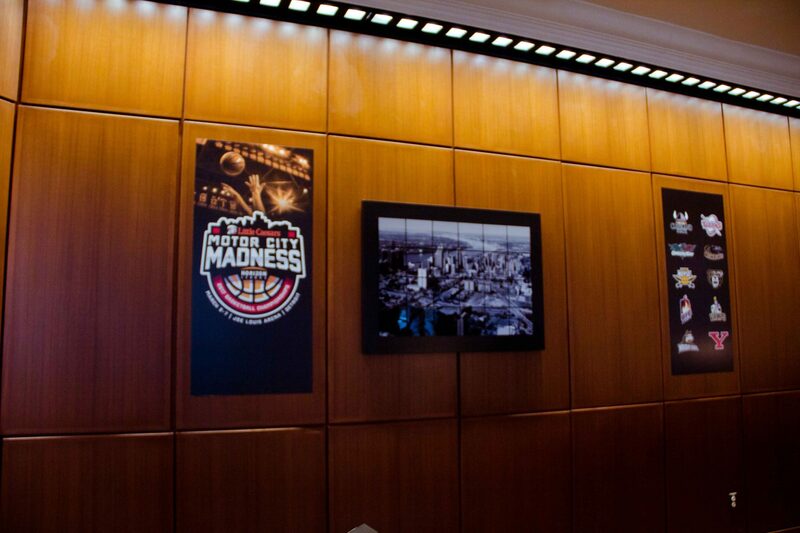 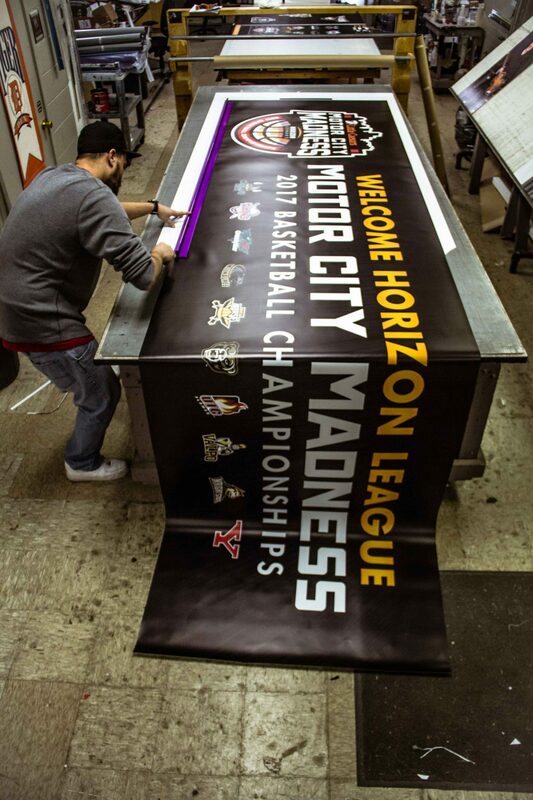 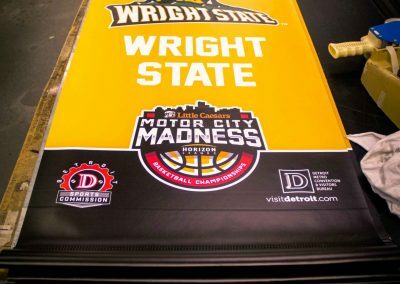 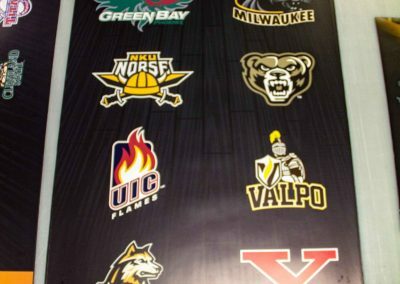 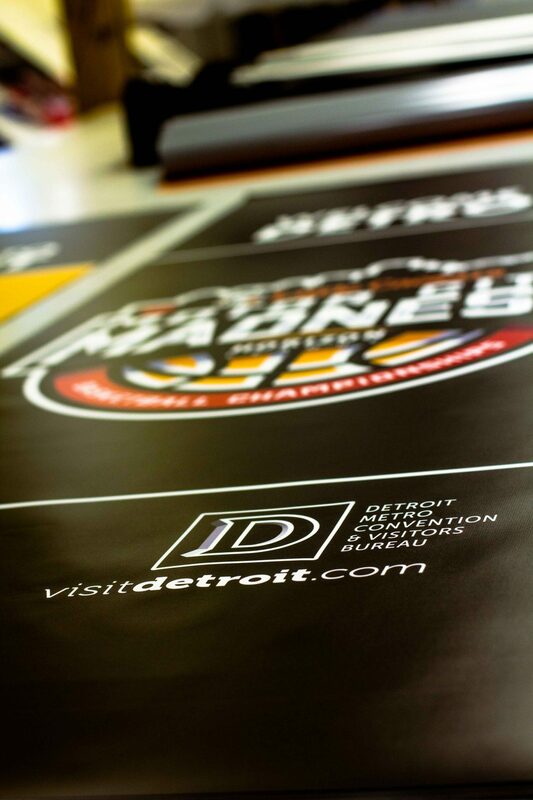 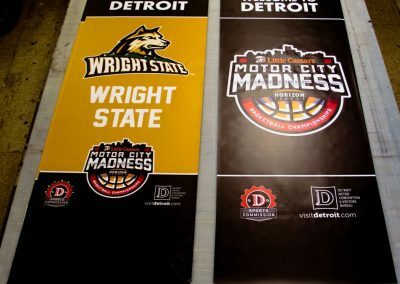 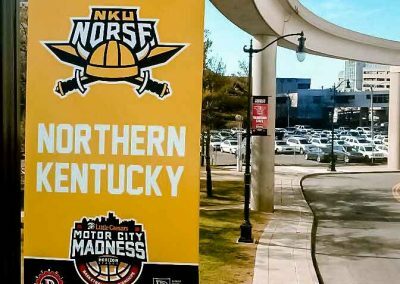 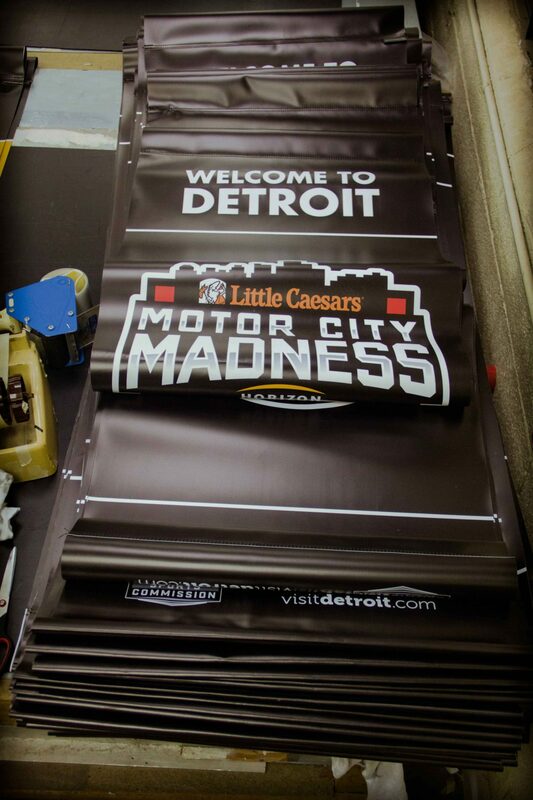 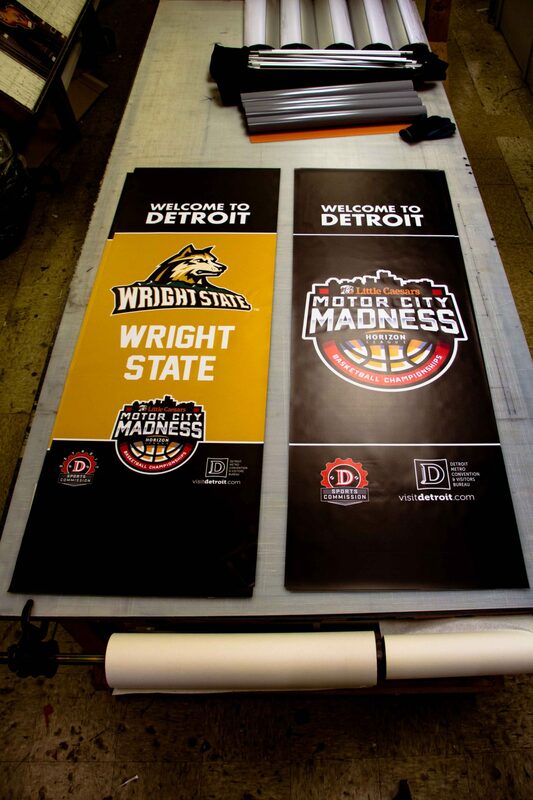 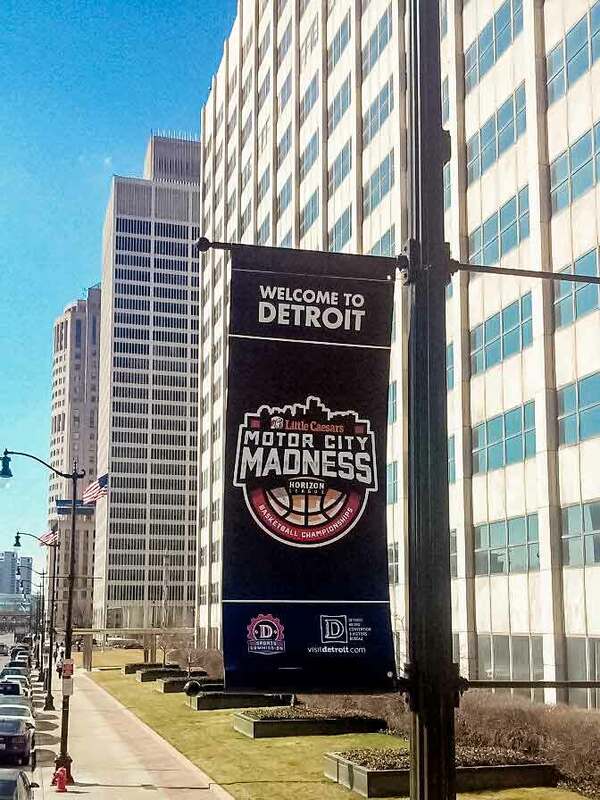 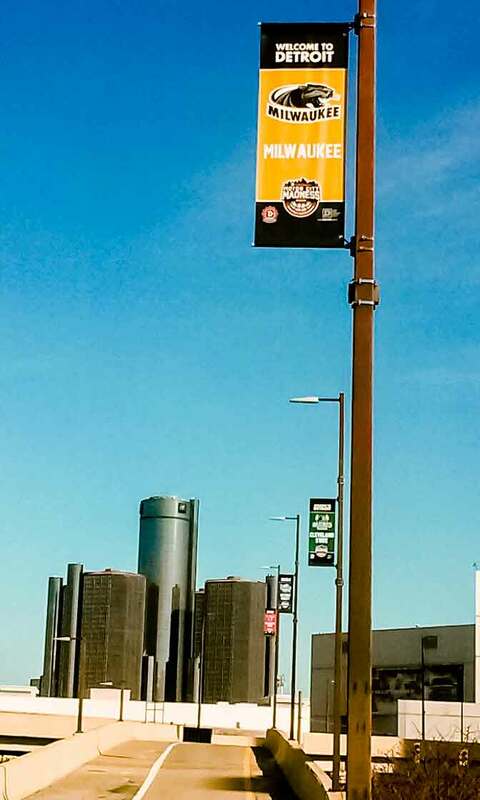 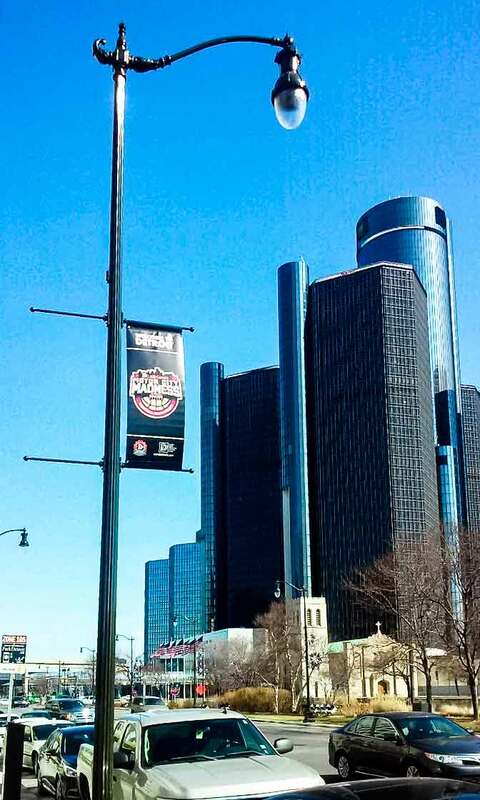 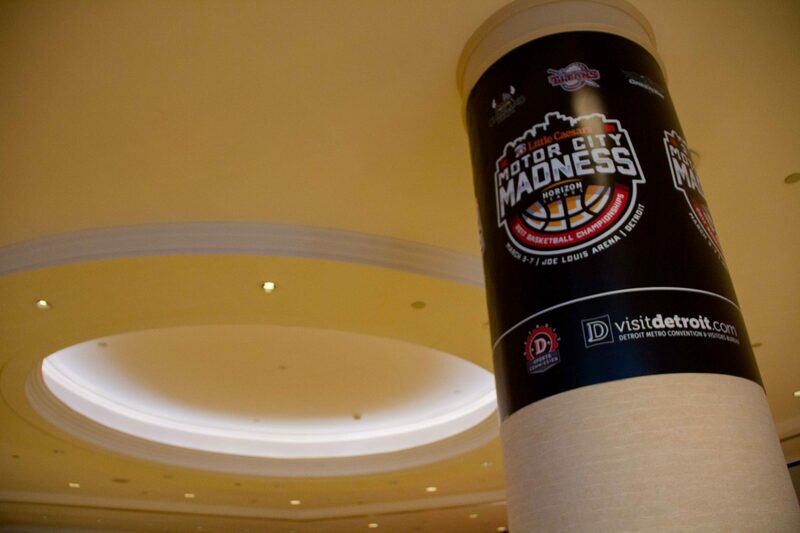 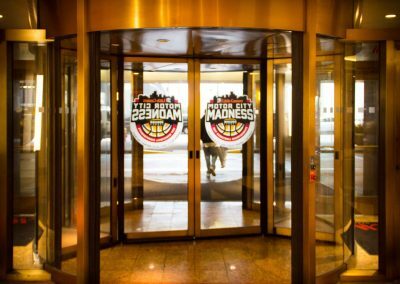 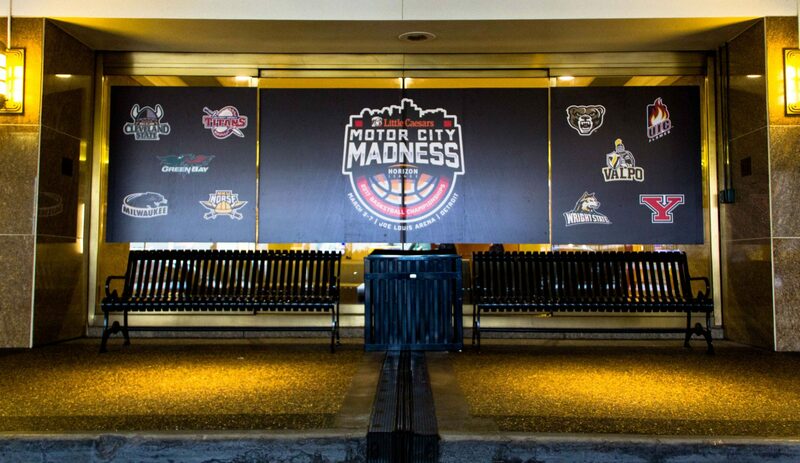 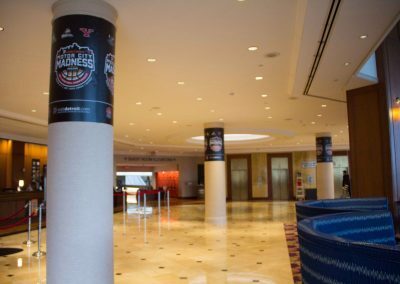 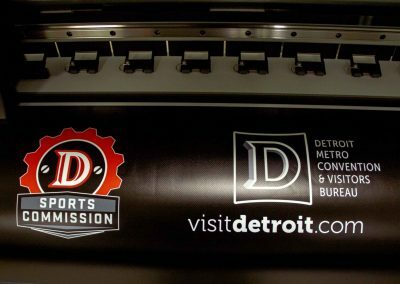 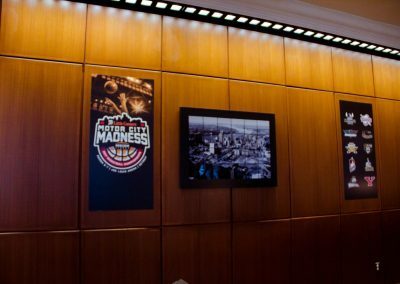 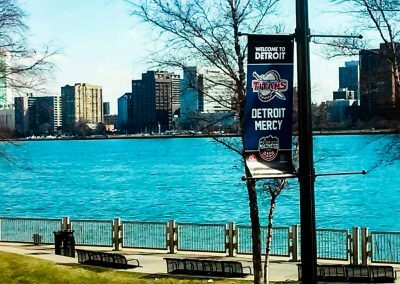 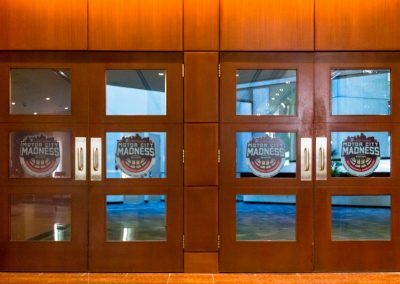 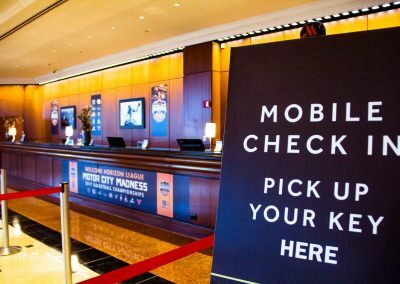 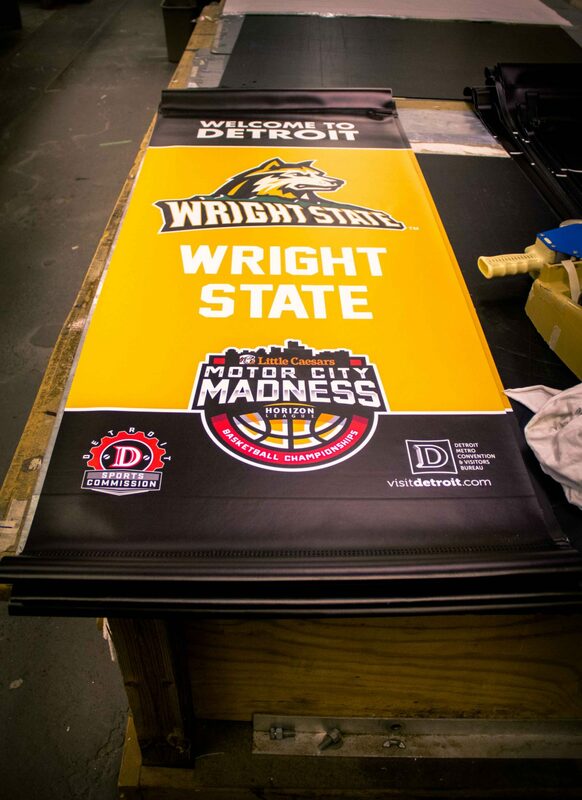 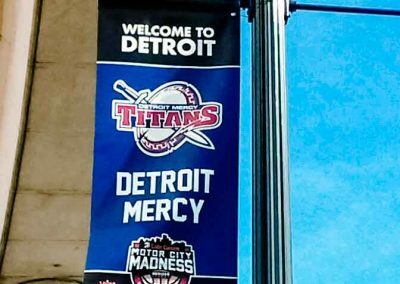 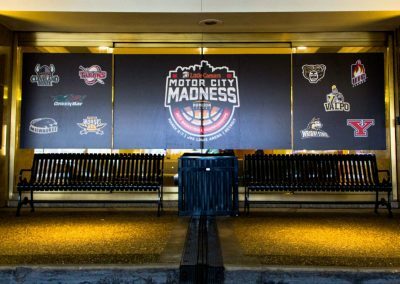 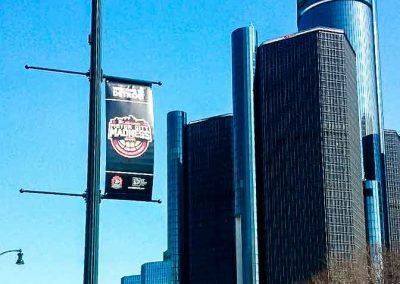 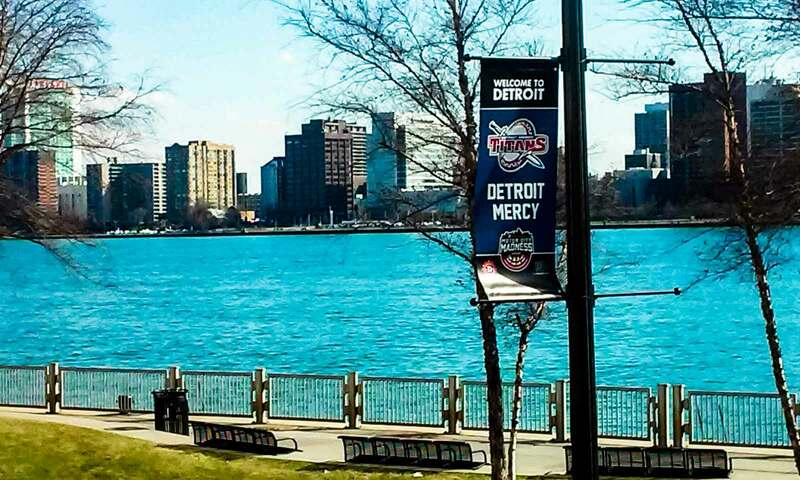 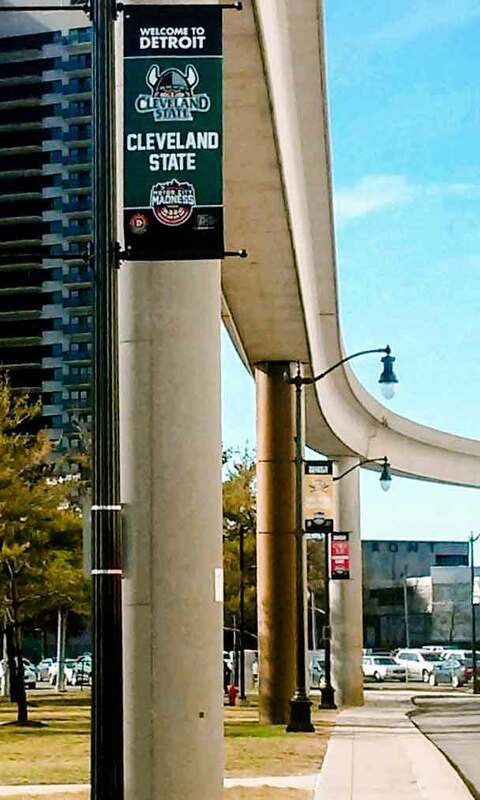 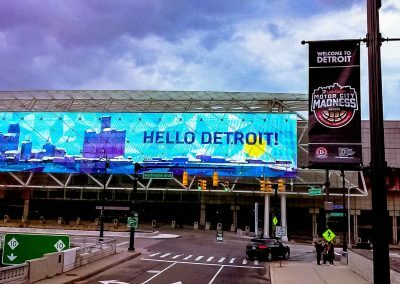 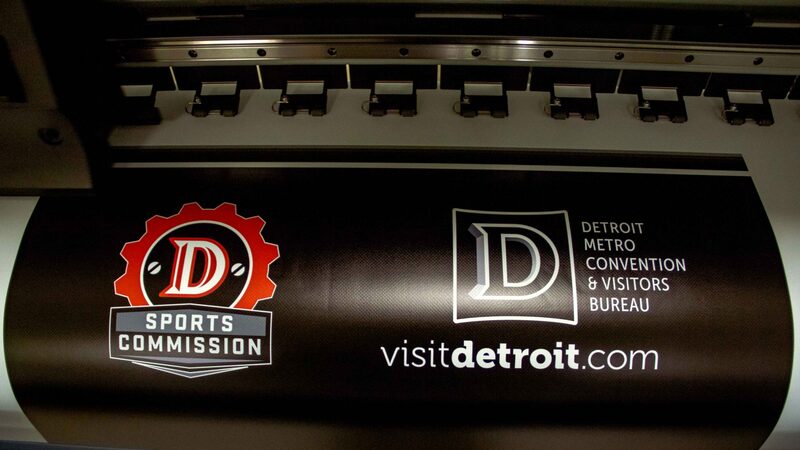 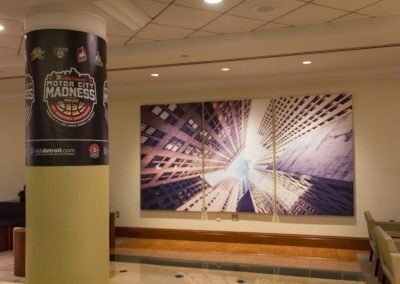 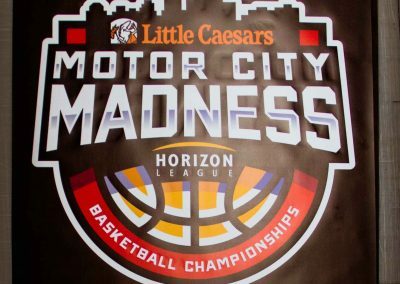 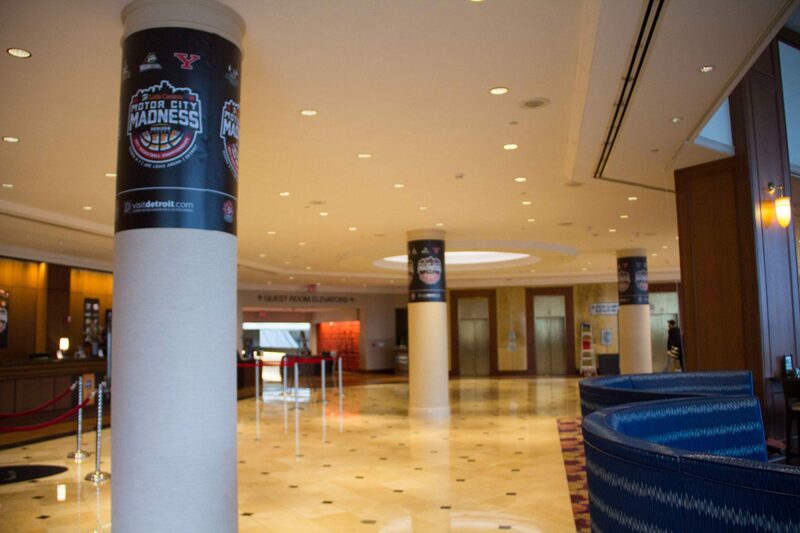 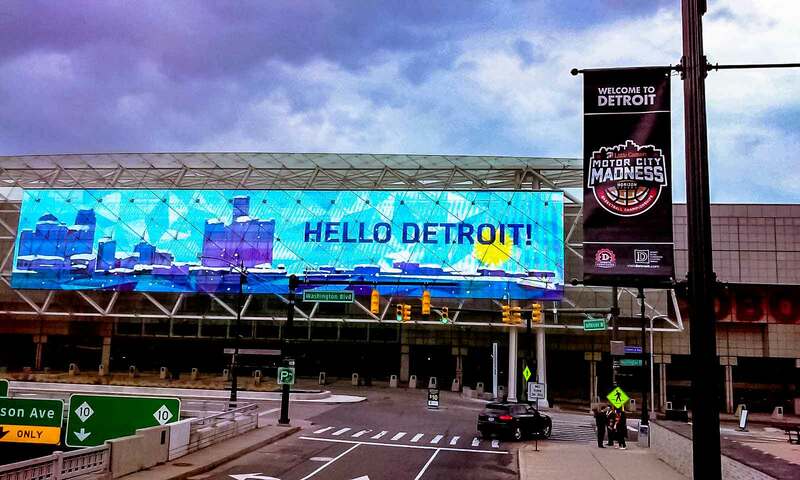 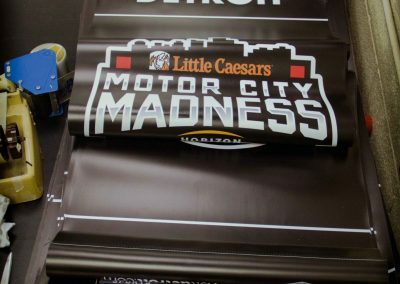 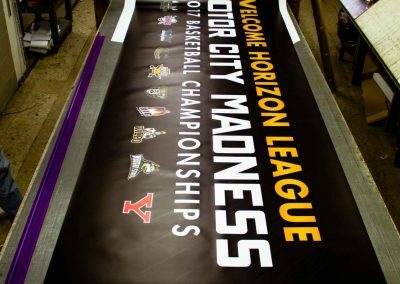 Check out the various forms of visual media we’ve created for Motor City Madness, located around our city. 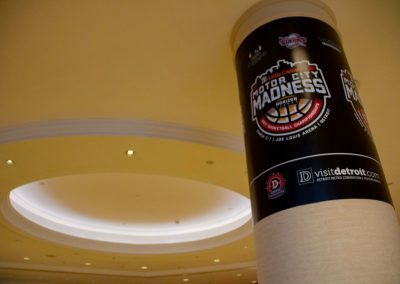 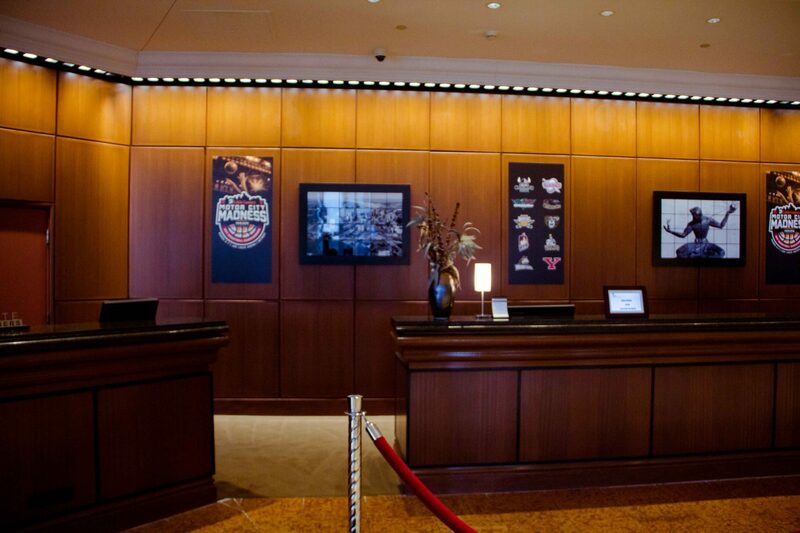 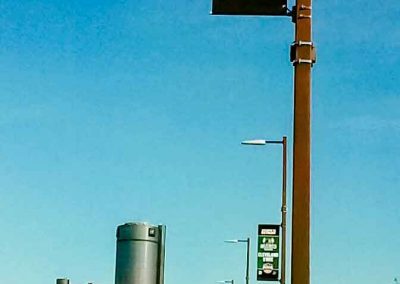 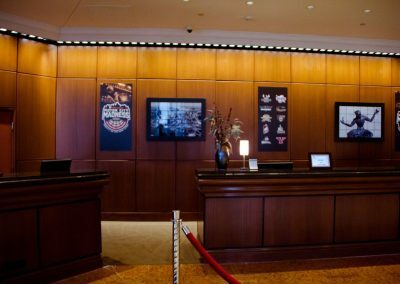 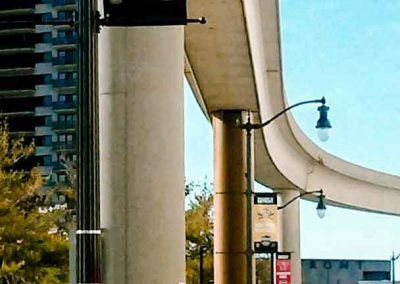 This varies from interior/exterior wall decals, door displays, textured floor vinyl, and lightpole banners. 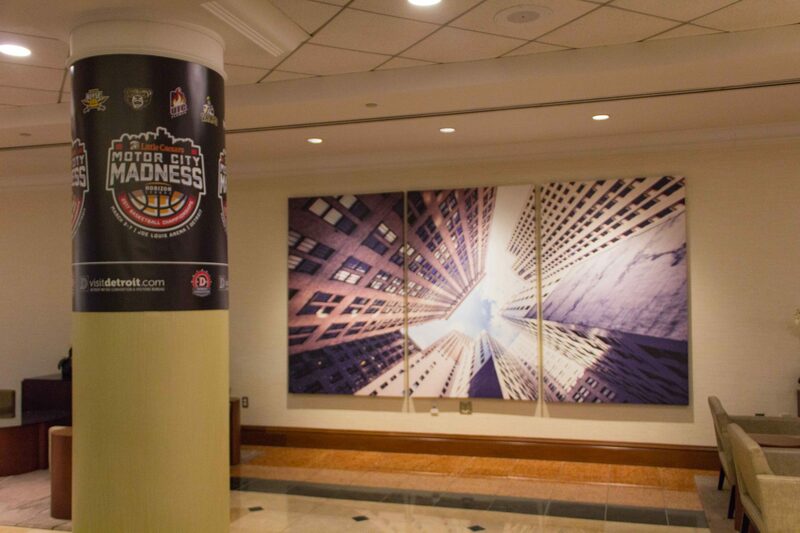 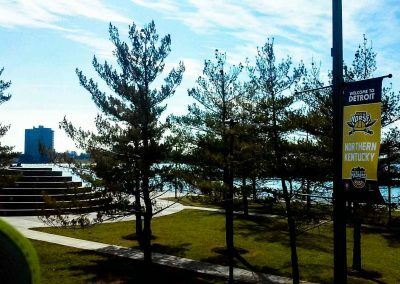 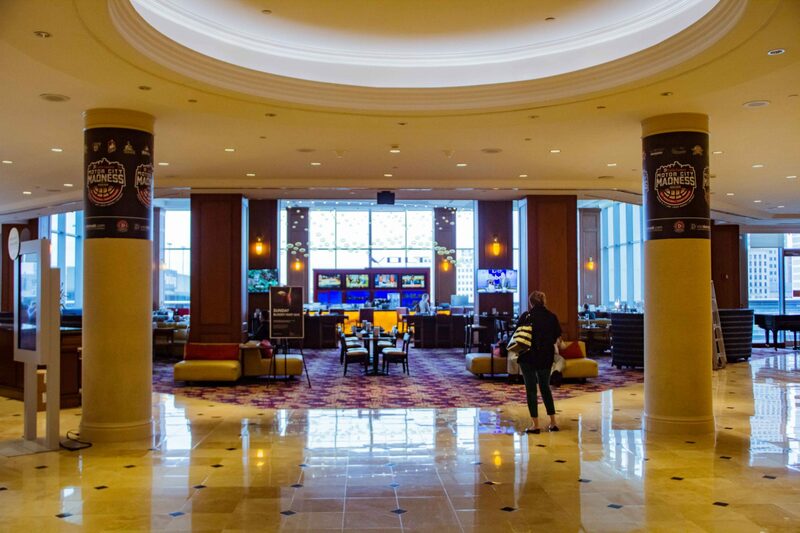 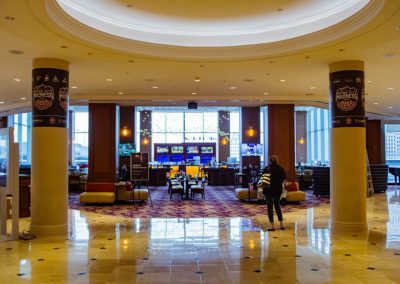 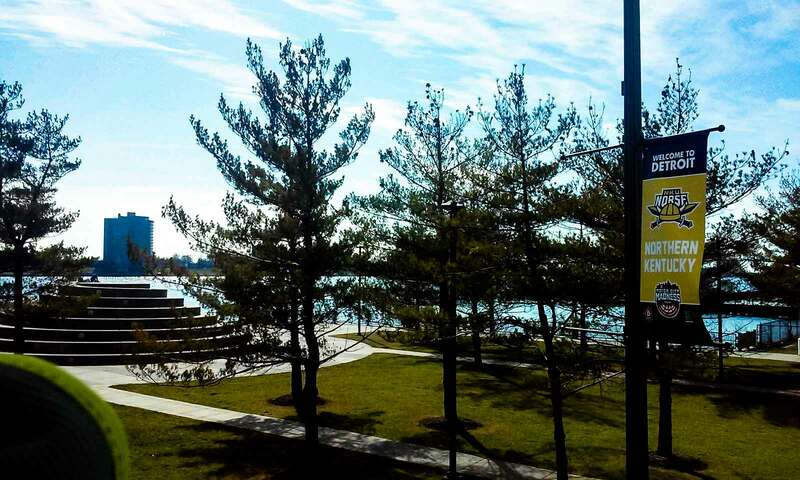 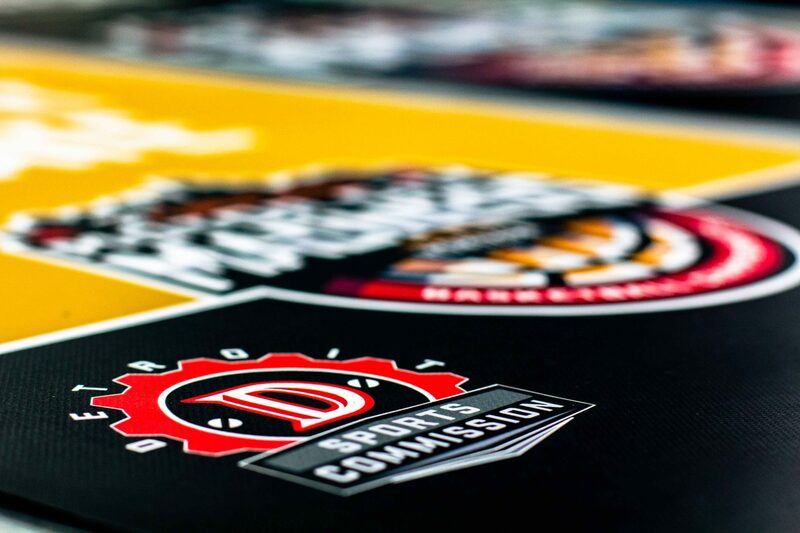 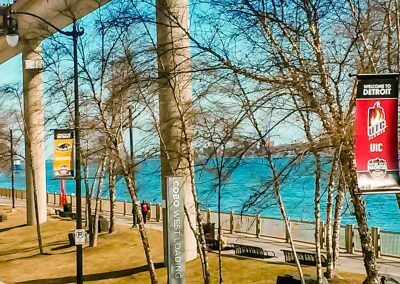 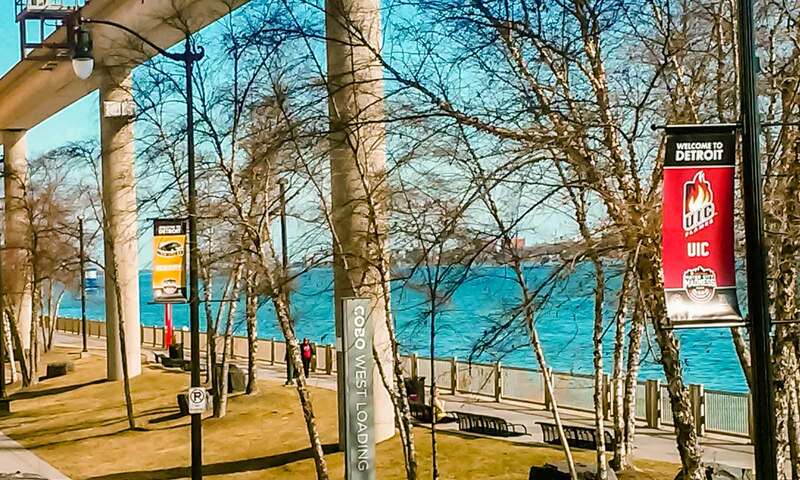 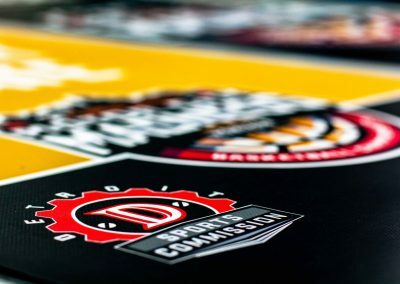 Take a look at what is possible and we would be happy to assist with your upcoming event signage and visual media. 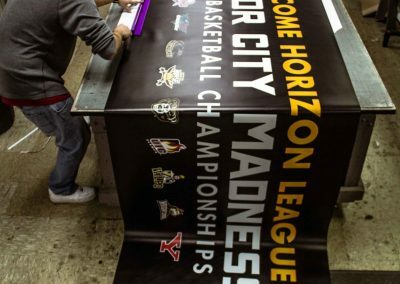 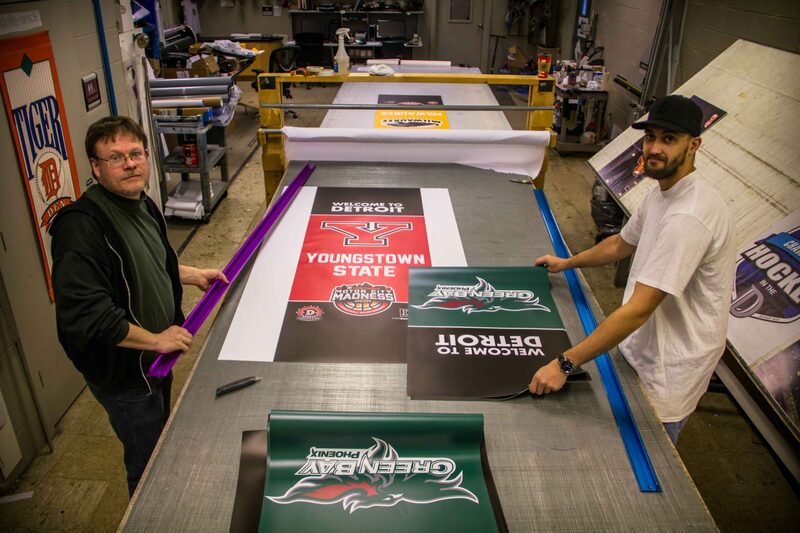 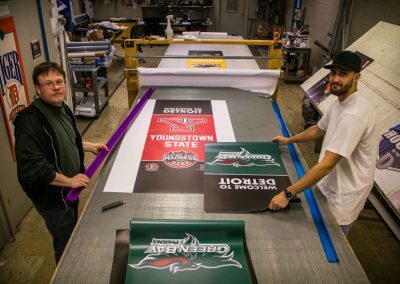 This huge banner is larger than our cutting table, proving no job is too big for the BSC Crew!